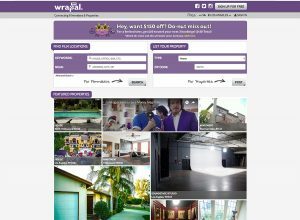 PLAYA VISTA, Calif.—WRAPAL.COM, a film-tech startup that connects filmmakers and properties offers users $150 in its first of three video skits. For a limited time, both filmmakers and properties get a $50 bonus towards their next three bookings ($150 total) on the online locations database that sets itself apart from others by being free, allowing both parties to connect directly, and offering affordable insurance through Lloyd’s of London. The company aims to debut a new, tongue-in-cheek video a week as part of its publicity campaign to raise awareness about the ability to search, book, and pay for film locations online. 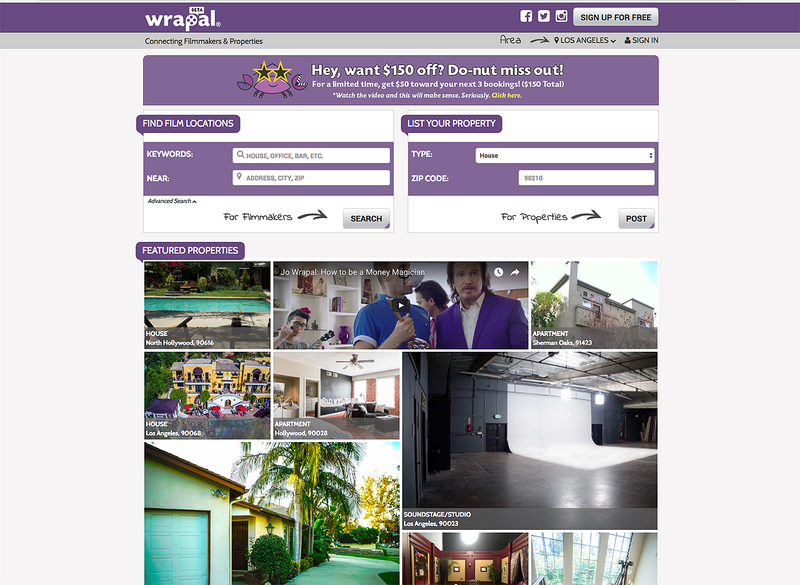 Lauded as the ‘AirBnB’ of filmmaking, WRAPAL was launched in May with a win-win philosophy of directly matching filmmakers hunting for locations to property owners and managers looking to make money. With the City of Los Angeles enacting legislation outlawing vacation-sharing websites such as VRBO or AirBnB, it has seen a surge in users and has since garnered close to 1,200 residential, commercial, and industrial properties looking for other means of making passive income.